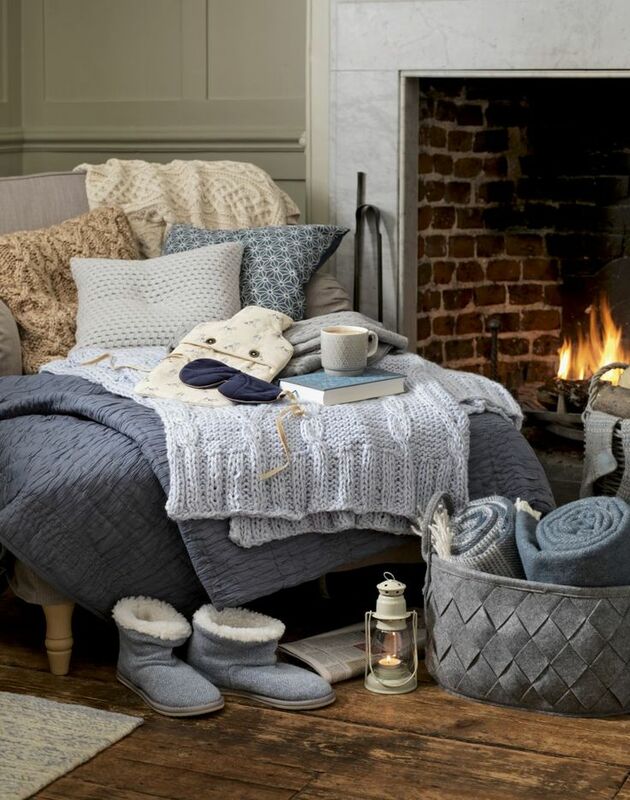 Get cosy at home this winter by creating a comfy nest in the sitting room. There are still some simple things you can do to get that warm and welcoming vibe. When it gets dark, the stark panes of a window can seem rather cold, so it’s a good idea to get your window dressings sorted in time for cosy winters nights. Rich textured fabrics, such as velvet or chenille, can make the room feel snug. Make sure you fit a strong pole to hold heavier fabrics. If you have the budget, you could even have two sets of window dressings that you can change with the seasons. Windows in older houses can let in some cold draughts, which will definitely reduce your enjoyment of a winter's evening. If you have old sash windows, it will pay off in the long term to have them reconditioned, however, it can be costly. In the meantime, visit your local DIY store to find a variety of draught-excluding products,. Uninvited icy gusts can also come from the floor. Original wooden floorboards can look very impressive, but there are often large gaps between the boards that contribute to the chill factor, a thick lucious rug may help with some of the cold airflow. When it’s grey outside, colour inside becomes even more important. With just a few accessories, you can visually add warmth to a room, so boost a neutral colour scheme with bright-hued cushions, flowers or ornaments. If you’re planning to redecorate, it’s tempting to use lighter tones to give a brighter feel to the room. However, the reverse can be more effective if you want you living room to feel cosy. There are some stunning darker paint colours available, so be brave and opt for a grey-green or blue, or even a charcoal. Darker tones seem to pull the walls in to surround the room for the ultimate in surroundings. Not every home has a fireplace – However, this doesn’t mean you can’t enjoy the flicker of some flames. Make a collection of candles to provide a glowing focal point in your living room. You can also use battery-powered candles that will still provide a glow without the worry of fire. 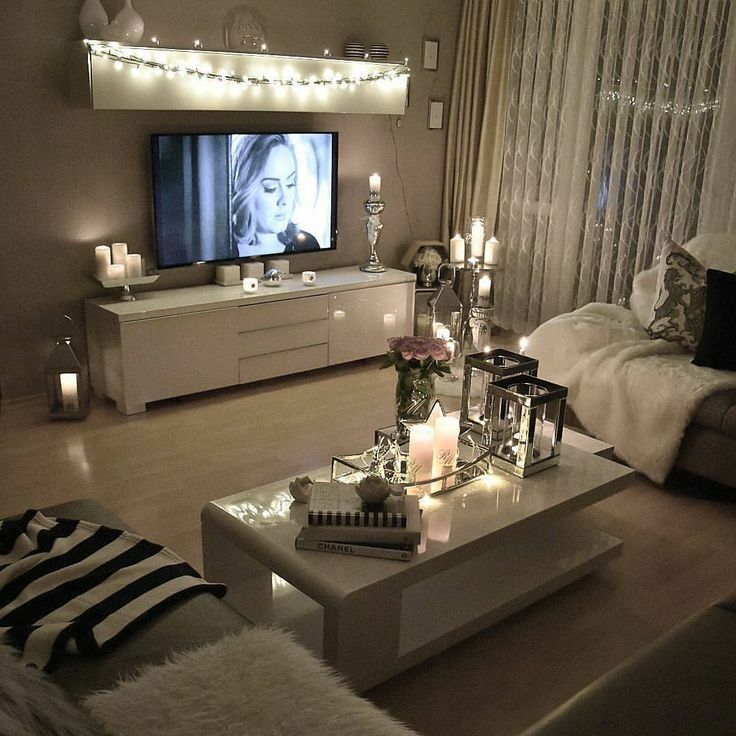 The way you light your living room will have a massive impact on its cosiness. Low-wattage bulbs, which create golden pools of light, are a great option. One central light may be too strong, so experiment with table and floor lamps in different positions until you get the light you want. Don’t just keep fairy lights on the Christmas tree – drape them over a mirror or mantelpiece to add a gorgeous twinkle. Sofas with lots of cushions are always lovely to sink into, but for the ultimate haven, drape a few soft wool or faux fur blankets over the sofa arm or back. If you have bare boards on the floor, consider introducing a fluffy rug in the colder months.